This article was originally published in Benzinga. Take Genevieve Via Cava. When the New Jersey special needs teacher first told her school superintendent that she intended to donate enough money to the district to fund the post-high-school education for special needs students, he laughed. “I thought it was a joke,” he told NorthJersey.com. 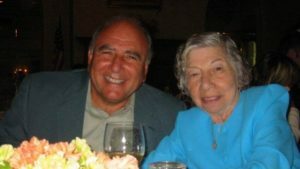 He and other friends and former colleagues were shocked when they learned this spring that Via Cava, who died at age 89, had quietly built a small fortune over her 45-year career as a teacher and left $1 million of it to fund those scholarships. How did Via Cava and other unassuming millionaires climb to the top? We discovered four simple habits they have in common. 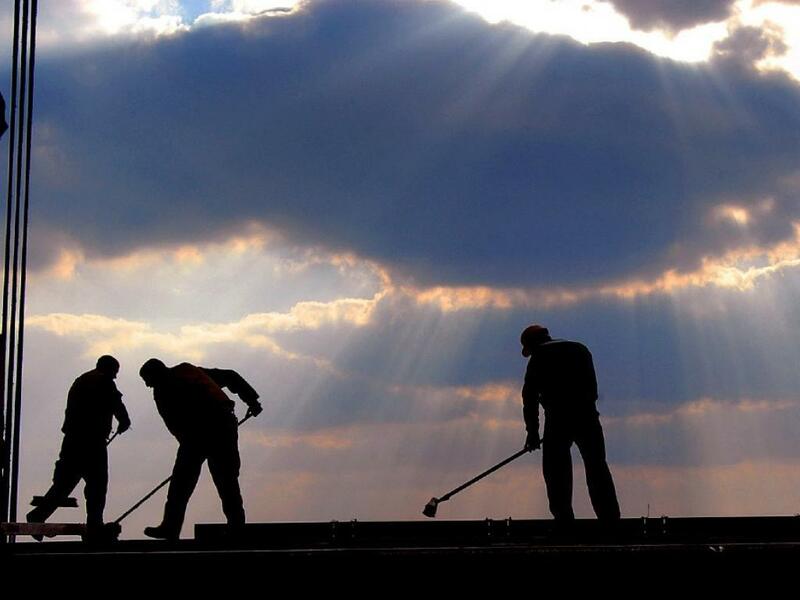 Follow their lead and start building your own fortune, too. Case in point: Ronald Read, a janitor and gas station attendant in Vermont who bequeathed $8 million to his local library and hospital, had a second-hand Toyota and used safety pins to hold his tattered coat together. Grace Groner lived in a one-bedroom in Chicago and shopped at thrift stores and rummage sales, even though she’d accumulated more than $7 million. Russ Gremel, another Chicagoan, prefered oats and stew to fancy meals, drove a 25-year-old Dodge—and recently donated $2 million to the Audubon Society. Via Cava lived in a modest home once owned by her parents, kept expenses to a minimum and consistently socked away some of her income. This article was originally published in USA Today. More than half (53 percent) of widows say they and their spouse did not have a plan for what would happen if one of them died. Seventy-six percent of married retirees say they would not be financially prepared for retirement if their spouse died. Following the death of a spouse, half of widows experience a household income decline of 50 percent or more. There are 20 million widows currently in the U.S., and 1.4 million new widows annually, according to the Merrill Lynch/Age Wave study. Despite that, most married couples don’t like discussing or planning for death, says James Watkins, III, a managing member of InvestSense. But it’s best to tackle this tough subject head-on given the potentially dire consequences. If you need help, consider talking to a qualified, trusted and competent adviser such as a certified financial planner. “A new widow needs a comprehensive financial evaluation and plan,” says Steven Podnos, a certified financial planner with Wealth Care. Watkins says professionals can help address what many couples overlook – the potential cash flow issues that emerge after the death of a spouse. “These are issues that need to be addressed as part of a comprehensive financial planning program early in a marriage,” he says. For her part, Cary Carbonaro, a certified financial planner with United Capital Financial Advisers, recommends working with a certified financial planner long before becoming a widow or widower. 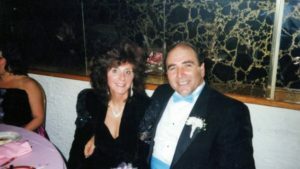 After the loss of a spouse, the remaining partner “might make mistakes that will be difficult to recover from,” she says. Consider working with an estate planning attorney and an elder law attorney. According to Watkins, an experienced and knowledgeable elder law attorney can perform a detailed inventory of the available financial resources and “help integrate Social Security, Medicare, Medicaid and other programs to maximize the benefit received,” he says. Forget for the moment whether you should buy term or cash value life insurance, the question you should be asking is do you have enough life insurance, Watkins says. It’s “important to get the needed amount of insurance in case of an unexpected/premature death,” he says. A financial professional can quantify how much to purchase using any number of methods – human life, financial needs and capital retention. With the current federal estate tax exemption at $11.18 million per person, most people do not have to worry about the tax implications of death, Watkins says. But do worry about your retirement accounts and the beneficiaries of those accounts. “Inherited retirement plans are often the largest asset in someone’s estate,” Watkins says. The beneficiaries need to do a “forensic analysis” of the inherited plan’s portfolio to first determine if the funds are legally prudent and then if the funds are appropriate given the changed circumstances. The key to planning properly for the death of a spouse, Watkins says, is to determine exactly what the available financial resources are and calculate financial needs. Then plan on the best way to maximize those resources while getting additional ones through government benefit programs. Women are taking control of their financial lives like never before, but there’s still a long way to go when it comes to investing. You may have heard it said that “women have to do more with less,” but what does that really mean? Well, given that the gender pay gap leaves the average woman earning just 80 percent of what a man earns, this means that women will have to save a higher percentage of their salary just to achieve parity with men when it comes to retirement savings. If a man making a $50,000 salary puts 9 percent of his annual income away for retirement, he’d have $4,500 saved at the end of the year. But a woman in that same role would only be making $40,000. So even if she put away the same percentage, she’d only have $3,600 saved at the end of the year, a whopping $900 less. To top it off, women live an average of five years longer than men, which means their money has to stretch further — a lot further. Because of their longer lifespans, women are expected to have 39 percent higher out-of-pocket healthcare costs in retirement than men, which means they’re on track to spend an additional $194,000. 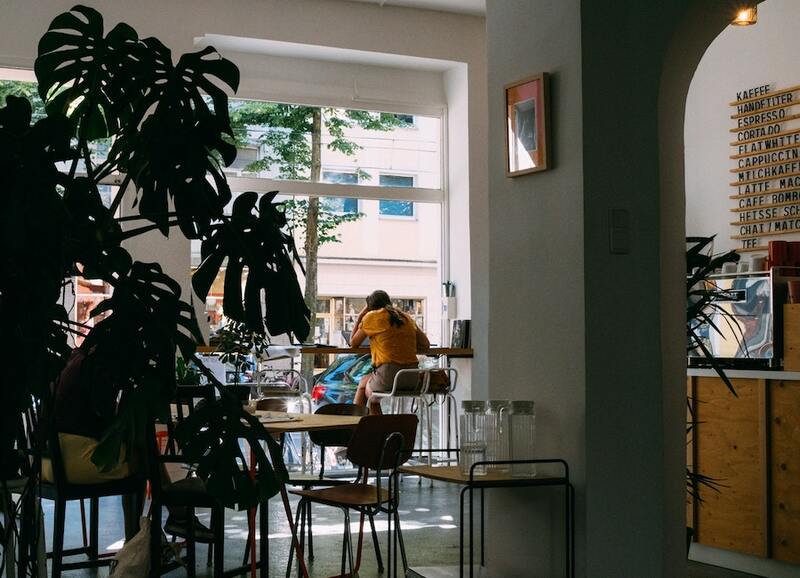 It’s no wonder the Wealthsimple research found 47 percent of millennial women consider money the most stressful thing in their lives, compared to 34 percent of millennial men. 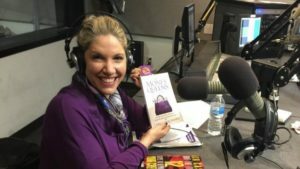 Another reason why women may not be as aggressive as men when it comes to investing is because they are more conservative — they like to hang on to their cash, explains Cary Carbonaro, CFP and Managing Director of United Capital of NY and Author of the “Money Queen’s Guide for Women Who Want to Build Wealth and Banish Fear“. Thankfully, there’s already been a shift in the market. Over the past three years, Fidelity has seen the number of women investing their money with the firm grow by 19 percent, to more than 12 million. 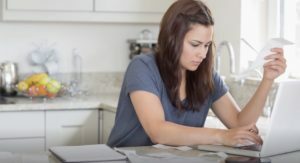 And it seems women know they need to save more — when Fidelity looked at workplace retirement accounts, it saw that women consistently saving a higher percentage of their paychecks than men at every salary level. Women saved an annual average of 9 percent of their paychecks, compared to 8.6 percent for men. But there’s still a ways to go to bridge the divide. This article was originally published in InvestmentNews. There’s a tech company Joe Duran admires, but it’s not Apple, Amazon or any of the other high-tech giants led by high-profile, high-energy and high-charisma CEOs like himself. It’s Intel, the chipmaker giant and supplier to well-known consumer-facing tech companies. Following the “Intel inside” strategy translates into building — alongside his firm’s branded advisory business — an army of independent advisory firms that white-label FinLife Partners, which the firm calls its “wealth management operating system,” said Mr. Duran, 50, founder of United Capital Financial Advisers. A combination of technology, investment management and planning tools, the 2-year-old service is built to deliver the holistic approach to advice that Mr. Duran has long championed. It takes into account the client’s employment, spending patterns and personal preferences, as well as their biases about money. It includes several trademarked and registered tools that turn the probing of money and life-related emotions into participatory “games,” which the firm believes leads to more accurate planning and better outcomes. 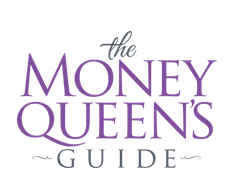 Among the interactive games are Money Mind, which reveals how the participant feels about money and how it affects their life; Honest Conversations, an exercise with an adviser to help identify and clarify personal goals; and Ideal Life Index, a personal benchmark that helps track progress to the kind of life an individual wants to live. “You have to use gamification to incorporate clients into decision-making to engage their brain and hearts in a data-centric way, and almost no one else is using it,” said Mr. Duran, who in 2016 received an InvestmentNews Icons & Innovators Award. Mr. Duran’s determination may be a result of his unusual background. He was born in war-ravaged Rhodesia, now Zimbabwe, and left Africa and a broken home as a teenager. 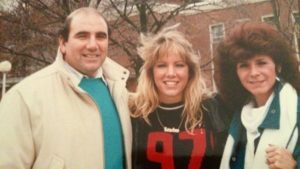 After living in London and moving to the U.S. to attend Saint Louis University on a rugby scholarship, he married the daughter of a former Bateman Eichler investment banker. 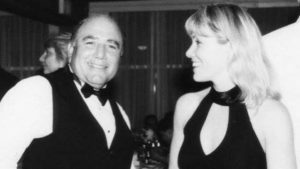 His late father-in-law’s contacts got him started in the financial services business in Southern California, and eventually led him to the presidency of Centurion Capital. General Electric acquired the firm in 2001, netting Mr. Duran an estimated $13 million. 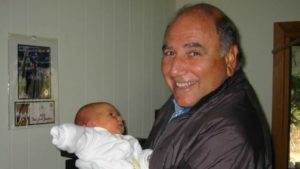 Having money didn’t quell his anxieties, which led to soul-searching, figuring out his money-related emotions and founding United Capital, which has made money and emotions a focus. Through FinLife Partners, he believes he can empower advisers to know their clients more thoroughly than their competitors do. 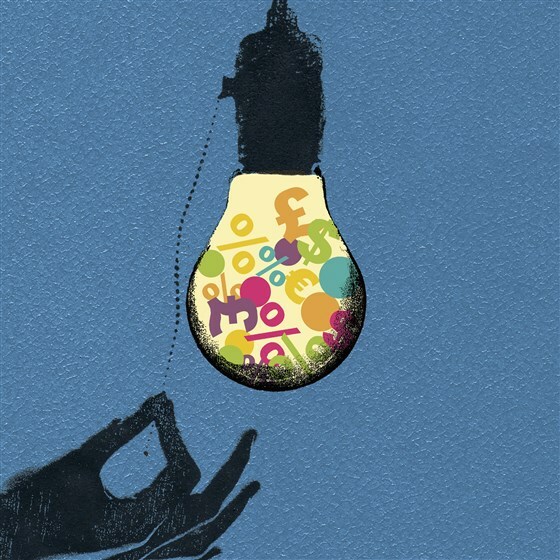 Of course, it remains to be seen whether financial advisers will buy into the approach. “I see a lot of growth potential for FinLife Partners,” said David DeVoe, whose eponymous consultancy and investment bank specializes in wealth management companies. “Advisers are looking for the benefits of scale, and this partnership provides a ‘synthetic’ scale opportunity. Another challenge comes from other players vying for the same advisers and end-clients. “Enterprise digital wealth is a very competitive space, where it’s not easy to win,” said Lex Sokolin, founder of robo-adviser NestEgg, who is now global director fintech strategy and a partner with Autonomous Research, based in London. “United Capital’s advantage is the AUM they already have, but they’re up against tech firms and they have to persuade other advisory firms to use what they’ve created. Teaching new behavior isn’t easy,” he said. So far, 26 firms overseeing $10.4 billion have signed onto the original FinLife OS system, which requires them to use United Capital’s CRM system. In April, the firm introduced FinLife CX, which allows advisers to use their own CRM system. Advisers using the new version pay an annual $600 per-client fee, plus ongoing and support fees that vary based on the complexity of the installation. Those advisers will complement the 222 who manage $23.3 billion in assets as employees and shareholders of the Newport Beach, Calif.-based firm. They tend to be advisers who before they joined or sold their firm to United Capital alreadyw had developed a holistic approach to planning and customer service. Ms. Carbonaro, an InvestmentNews Woman to Watch and an ambassador for the Certified Financial Planner Board of Standards Inc., is a member of the firm’s managing director advisory council that meets with the firm’s leadership three times a year. 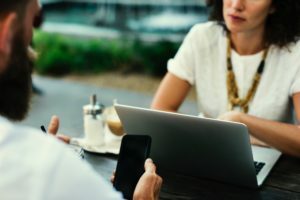 She also works as a liaison to the advisers who sign onto FinLife Partners, noting that many of them are successful traditional advisers who don’t have a financial planning background and are drawn to the program because they realize that it helps them know their clients in a way they hadn’t known them before. Mr. Duran is convinced that this “soft” approach provides the hard answers for advisers, who are facing greater competition. Few who know Mr. Duran doubt his determination to make FinLife Partners the preferred platform for providing that integrated client solution. “He has a clear vision of the future and what United Capital should be, and he’s really driven to get there,” said Gail Graham, who left a senior job in marketing and business development at Fidelity in 2012 to head strategy and later marketing at United Capital. 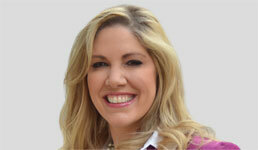 She started Graham Strategy, a consulting firm, last year. This article was originally published in the Financial Advisor Magazine. 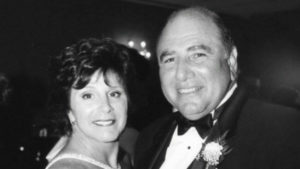 More than half of Dan Lash’s clients are widows and he expects another 30 to 40 percent will become so eventually, while nationwide 53 percent of widows have not prepared for what would happen if their spouse died, according to a new Merrill Lynch/Age Wave Study study. When asked by his clients, Lash, a partner at Vienna, Va.-based VLP Financial Advisors, advised calculating the value of marital property within six months of a spouse’s death. “An appraisal will determine what the gain is and set a new cost basis in the event you sell the home five years later,” said Lash. By sheer virtue of their numbers, the widowed have become a significant demographic with 20 million currently residing in the U.S. The “Widowhood By The Numbers” study from Merrill Lynch and Age Wave found that among them, four-in-10 women experience widowhood as a trigger to begin working with a financial advisor. One variable that sets apart the widower demographic from singles who have never been married is mourning. “The danger is for the widow to be overwhelmed with grief and to allow finances to take a backseat, which makes decisions even tougher to deal with later,” said Lisa Margeson, head of retirement client experience and communications at Bank of America Merrill Lynch. About 64 percent who had not planned at all worried they would be unable to support themselves immediately after the death of their spouse. “Widowed clients are often unsure and scared because they don’t want to be taken advantage of,” said Cary Carbonaro, managing director of United Capital of New York and New Jersey and 2014 CFP Board Ambassador. Among the challenges they face is the complex task of juggling multiple incoming assets. Some 69 percent of widows will receive a median amount of $15,000 in survivors social security, 63% will receive a median of $15,000 in life insurance, 46 percent receive a median of $25,000 from their spouse’s pension and 45 percent receive a median of $20,000 from spouse’s 401k income. After all, you work hard for your money, so you should be able to enjoy it. Even money-saving experts splurge from time to time on items and experiences that add a value to their lives that go beyond the monetary. We asked 31 of our most frugal Smart Money Squad influencers to share the things they splurge on, and their answers ran the gamut from massages to scotch. But they all had one thing in common: They splurge. Despite all the money-saving advice and tips they take and dole out daily, even experts like to enjoy their money, and you should, too. Shannah Compton Game, CFP and host of the Millennial Money podcast, has two splurges: “A couples therapy session every other month to make sure we stay connected, and a monthly unlimited yoga membership to relax away stress,” she said. Kathryn Bradt of Dames in Debt also can’t resist high-end workout attire. “Athleta and Lululemon are my favorites,” she said. 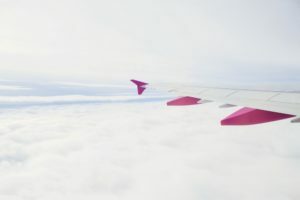 “When I’m flying long-haul — generally anything over six hours — and if I haven’t hacked my way into business class through the creative use of frequent flyer miles, I seriously consider splurging on a better seat,” said Nora Dunn, founder of The Professional Hobo. “I’m nearing the third term of my (hopefully) long life. After years of conservative spending and investing, splurging just makes sense,” said Barbara Friedberg, author of “Personal Finance: An Encyclopedia of Modern Money Management.” “After all, it’s silly to live a life of constant financial monitoring, and even some deprivation, without enjoying the fruits of life. So, now that we’ve reached our financial goals — yes, to those just starting out, there is an end to all the scrimping and saving — we practice tactical splurging. “I’m a big fan of values-based spending, so I cut back on expenses like cable TV and found a cheaper cell phone plan, but there is one place my spending has gone up in the last few months: my socks and underwear,” said Eric Rosenberg, writer, speaker, consultant and blogger at Personal Profitability. 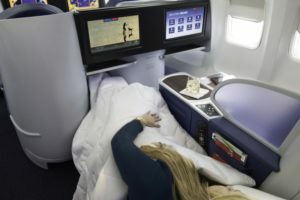 “My splurge is first-class tickets on Delta — and I will do anything to keep my diamond status on Delta, which means I get to fly first-class for free almost always domestically and get one round-trip global upgrade a year,” said Cary Carbonaro, CFP, MBA and personal finance expert. J. Kelly Hoey, author, writer and speaker, said she can’t help but splurge on designer shoes. Tak also regularly splurges on $300 visits to the hair salon four times a year, music events and coffee. DeBianchi has splurged on one-of-a-kind experiences, including paragliding through the mountains in Aspen, cage diving with great whites in South Africa, an African Safari, a helicopter ride through Milford Sound in New Zealand, a helicopter ride to a remote island in Australia in the middle of the Great Barrier Reef, and swimming with pigs, sharks, sea turtles and stingrays in Exumas. “It’s pricey, but I gain so much from doing these things — knowledge, ideas, happiness and an amazing story — and I come back feeling regenerated, which helps me be that much more productive in my business endeavors,” she said. Cary Carbonaro, widely known Certified Financial Planner with an MBA in finance and motivational speaker, was named today on the Investopedia Top 100 Financial Advisors. 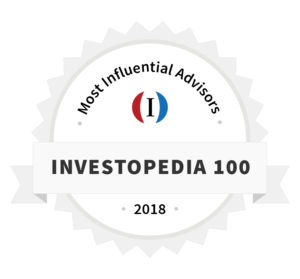 Investopedia, the premier online source of trusted financial information and services, announced the Top 100 Financial Advisors, a ranking of influential financial advisors who have contributed significantly to conversations about financial literacy, investing strategies, life-stage planning and wealth management. “While many publishers rank advisors based on their client base or assets under management, we wanted to celebrate advisors who have dedicated their time to educating investors,” Investopedia’s CEO, David Siegel, said in a statement. The full list can be found on Investopedia Top 100 Financial Advisors. This article was originally published in Financial Advisor IQ. What do women want from their financial advisors after the loss of a spouse? In a new study Spectrem Group offers a straightforward response: They want a trustworthy guide who isn’t going to overload them with details. And while advisors agree that’s often the case, they also stress their need to educate clients on the fundamentals of investing and financial planning — even when it comes to hands-off and essentially reluctant clients. There is a practical reason for this. Most recent widows and divorcees — who are “usually receiving funds with little or no experience” — feel “they don’t know enough to be given options to choose from, and would rather be told what to do,” says Black, who is a Certified Divorce Financial Analyst. “This is dangerous from the advisor’s perspective,” as in, for instance, cases where “we get blamed for bad markets” by inattentive clients. Even before it gets to the question of how involved newly unmarried women want to be with their investments and financial plans, it seems many simply want to get rid of their old advisors. That women leave their advisors on the demise — through death or divorce — of their marriages at a head-spinning rate is one of the starkest truisms in wealth management. According to the marketing consultancy Iris, 80% of women leave their financial advisors after losing a spouse. If that data point isn’t sobering enough to wealth managers, Iris adds that at some point in their lives, 90% of women will be the financial shot-callers of their households. In this sobering light, advisors focused on capturing next-generation assets should realize there’s a surviving spouse between them and their millennial pot of gold — and, statistically speaking, it’s a woman. On a sudden change in their marital status, women skip out on FAs for many reasons. Often, though, it comes down to resentment over perceived favoritism. In a typical scenario described by FAs, a wife has for decades deferred to her husband on financial decisions and on interactions with their FA, especially around investing. 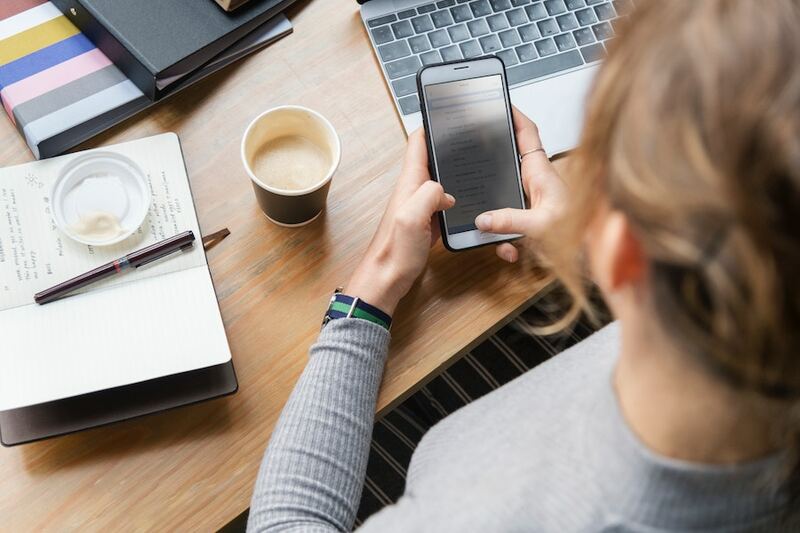 Advisors focused on capturing next-generation assets should realize there’s a surviving spouse between them and their millennial pot of gold — and, statistically speaking, it’s a woman. When death is behind the marital rupture, a new widow is likely to view the advisor as her late spouse’s confidante rather than her own. She may even feel piqued at not having received much in the way of attention over many years from an advisor preoccupied by a more engaged spouse. And those ill feelings tend to be exacerbated when a marriage ends in divorce — to the point where the “risk to advisors of potentially losing a client is far greater in divorce than widowhood,” says advisor and CDFA Lucinda Richey of Prosperity Planning in Kansas City, Mo. The reason? More so than in the wake of a spouse’s death, a newly divorced women may view an advisor as allied to an ex-spouse she’s angry with. Chris Chen of Insight Financial Strategists in Waltham, Mass., agrees recent divorce and widowhood are “emotionally overwhelming” experiences — but he thinks the hands-off element is sometimes temporary. But these clients’ emotional scars, temporary or not, don’t let their advisors off the hook, says Sarah Carlson of Fulcrum Financial Group, a firm in Spokane, Wash., focused on “suddenly single” women. In her view, if a client isn’t absorbing what her advisor is saying, it’s up to the FA to find better terminology. Meanwhile, Cary Carbonaro, a United Capital advisor with offices in Huntington, N.Y., and Clermont, Fla., thinks some of the disengagement of divorcees and widows is a function of their gender. The “big picture” part of that means women may — and Carbonaro stresses there are always exceptions — have less specific financial knowledge than men. But the “trust” part means they make better clients over time. As for widows and divorcees preferring to delegate to advisors, Carbonaro wholeheartedly agrees that’s the case. But, she adds, in seeking out an advisor like her, who specializes in such clients, they’re coming into the relationship predisposed to trust the new advisor to make their lives less complicated. “That’s the reason they hire me,” says Carbonaro.